It's finally winter, and for those who love to get out in the snow and cold, that can only mean one thing: It's time to dust off those skis and other winter gear and head for the mountains. Whether you're looking for a daring race to the bottom of a demanding ski slope, or a quiet hike surrounded by the stunning beauty of winter, the Great Smoky Mountains in Tennessee are where you'll want to be this season. 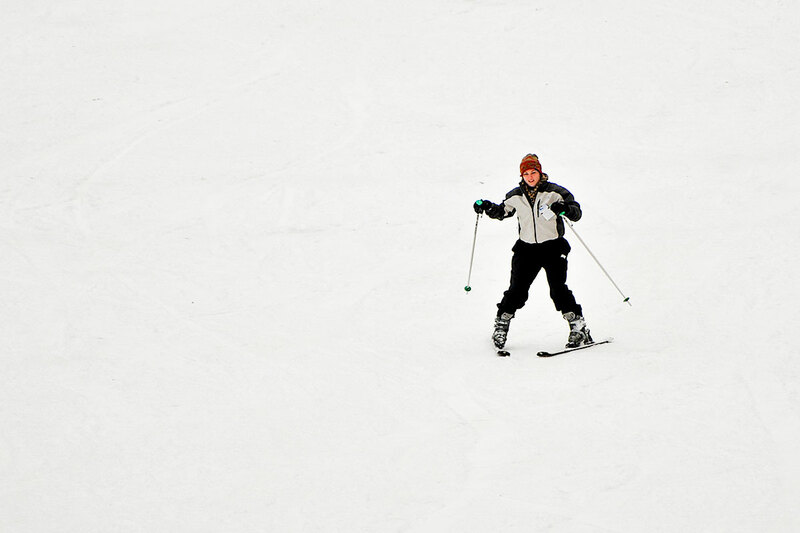 One of the premier skiing destinations in the Great Smoky Mountains, Ober Gatlinburg offers groomed trails for every skill level. Kids and beginners will appreciate the gentle slopes that offer a chance to learn the moves without excessive speed or obstacles. More adventuresome types will want to check out the black diamond trails or even the freestyle park, where anything goes. Ski all day long and into the night on lighted trails. Looking for something a little different? Head over to the tubing track and enjoy the rush of plummeting down a 400-foot slide atop an inner tube. The initial 50-foot vertical drop will have your stomach doing flip-flops, while the Magic Carpet lift makes it easy and fun to get back to the top for another run. Best of all, no special equipment is required. Just hop on a tube and go. You'll want to arrive early, though, because this popular attraction sells out fast. No equipment? No problem. Rent everything from skis and poles to snowboards on site. With hundreds of miles of maintained hiking trails, it's no surprise that the Great Smoky Mountains are a popular destination for those who love to get back to nature. Every season offers something new and exciting to see, but only in the winter can you enjoy the peace and tranquility of a snow-covered mountain trail. The brilliant winter sky provides a stunning backdrop against mountains cloaked in dazzling white, and from many overlooks it seems you can see forever. Not only that, but with the leaves and grasses gone for the season, you'll find the wildlife much easier to spot, so be sure to bring a camera. If you're staying in one of the area's many cabin rentals, getting to the trails is as easy as stepping out your back door. For more popular hikes, try Laurel Falls Trail, where the spectacular twin falls make a gorgeous destination any time of year, or Husky Gap Trail, where the view from the top is definitely worth the climb. For outdoor sports enthusiasts, winter offers a wonderland of invigorating fun for the entire family, and no place is better suited than Gatlinburg and Pigeon Forge, TN. The majestic mountains offer a variety of sightseeing and hiking options for all ages, while the area's finest ski resort makes this favorite winter pastime even better. Book your trip to the Smokies today, and enjoy all the beauty and fun this area has to offer.